Superior Smiles is an exciting, innovative place that is located in the Rose Medical and Aesthetic Centre in Fremantle. 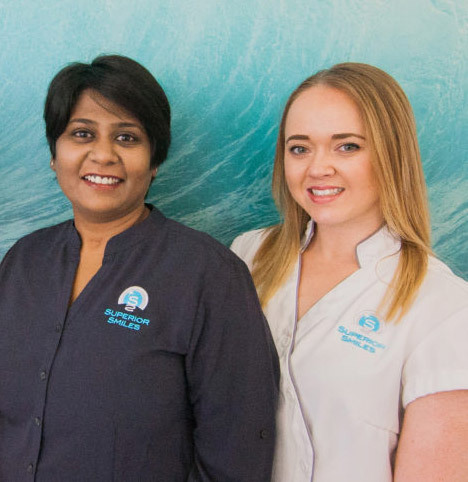 Dentists Dr Rani Gopal and Dr Beth Davis provide the highest quality of dentistry, offering a range of services to suit the needs of your entire family. From general and preventive to cosmetic and orthodontic dentistry, you can reach your oral health goals with the help of our knowledgeable, skilled team. With years of experience, we can ensure that your teeth not only look incredible but have their full function over your lifetime. Whether you want to achieve a smile that you’ve always dreamed of showing off or simply need a routine checkup to maintain your oral health, our team are here to help you. Our modern practice is conveniently located on Stirling Highway. Free parking is available in our car park, and we offer you the benefit of the latest dental technology. Our supportive staff is dedicated to making each of your visits as pain-free, relaxing and enjoyable as possible. Contact Superior Smiles in Fremantle to Schedule your visit today! Committed to providing holistic pain-free dentistry with compassion. Dr Rani received her Bachelor in Dental Surgery in 2005 from overseas and had completed a postgraduate diploma in Public Health and Business Management in 2008 at University of Western Sydney. After her move to Australia, she studied for her board examinations while working at practices throughout the nation, including ones in Sydney, Canberra, and Victoria, before settling in Perth. Dr Rani comes with 10 years of local experience from the Eastern States before she moved to Perth with family about a year ago. Using the most advanced methods where possible, Dr Rani believes that comprehensive treatment planning starts in the waiting room by helping the patient to be calm and comfortable. She then performs a complete examination with photos and X-rays (as-needed basis) and discusses the plan with options — meeting the patient expectation and clinical requirement. Dr Rani is particularly interested in minimally invasive and preventative dentistry. She considers all aspects such as general oral hygiene, restoration of decay, bite analysis, smile design, and aligners for teeth movement problems and other care methods. A passion for learning more drives Dr Rani to continue her education regularly. She keeps herself continuously updated by taking courses to expand her services and care methods. In the last few years, she has taken courses in Inman Aligner, ProTaper® Endodontics, and Snap-On Smile® treatment modalities and procedures. 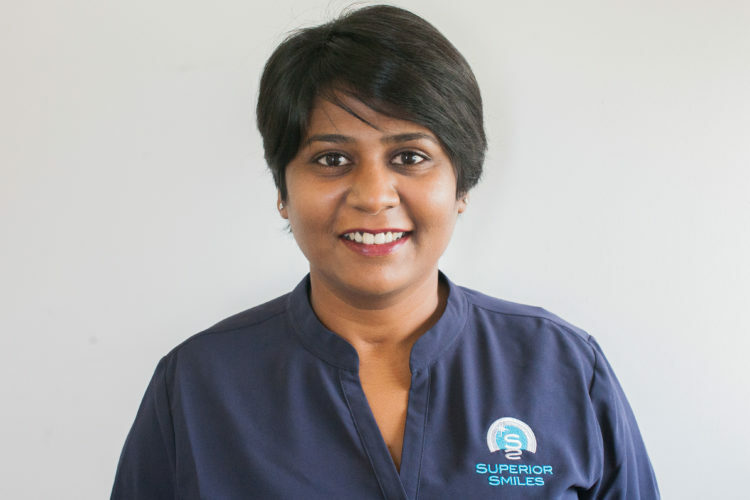 For patients who experience dental anxiety or have had negative experiences in the past, Dr Rani considers the most suitable sedation options like intravenous sedation, oral anxiolysis or nitrous oxide, so they are completely comfortable and free of apprehension. She always aims to provide pain-free dental care with a personal touch. When she isn’t helping patients, Dr Rani loves reading, taking nature walks and challenging her husband to games of chess (she was a chess champion in school!). She also does yoga. Overall, Dr Rani is dedicated to providing the best dental treatment and experience with the help of a great team. Dr Davis graduated from Guy’s Hospital, London, in 1991. After completing a hospital placement in oral surgery, she worked in a private practice in West London for 10 years. Here she enjoyed all areas of general and cosmetic dentistry and developed her clinical and diagnostic skills to a very high level. Following the arrival of her three children, the whole family migrated to Western Australia in 2004 and settled very happily in Perth. 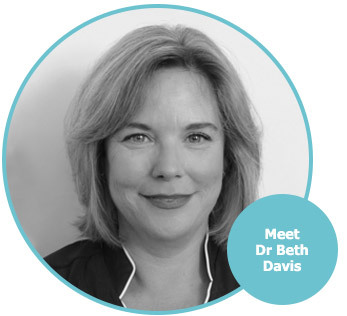 Dr Davis worked in a busy dental practice in Fremantle for 5 years and then completed an 18 month, mini-residency implant course to further advance her skills in cosmetic dentistry. 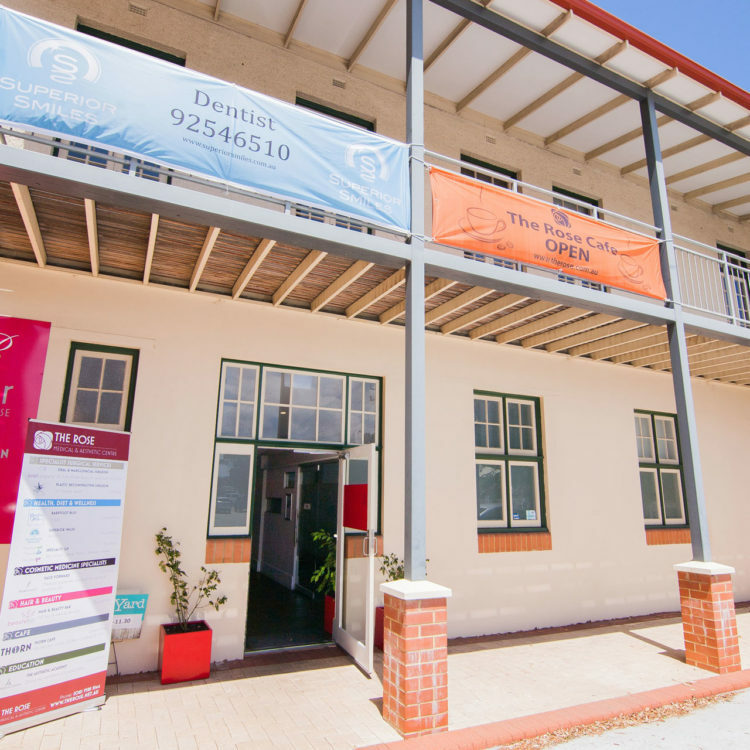 Superior Smiles was launched in the Rose Medical and Aesthetic Centre at 78 Stirling Highway, North Fremantle in July 2012. Dr Davis and the entire staff are passionate about providing friendly, caring and professional dentist services to the entire family in a beautiful, relaxing and modern surgery.